It is no secret that in services agreements between staffing companies and their clients, no-hire provisions are common and essential to maintaining a long-term relationship. Often times, however, these provisions are not known to the staffing agency's contractors or employees. For those workers who ingratiate themselves to the end-user client, a long-term employment relationship may be a very realistic possibility. The clients, at whom laborers are placed, also have a financial interest in employing valuable workers directly, as they may be able to cut out the placement firm's profit margin. No-hire clauses, however, may eliminate this possibility and effectively restrain a client's ability to hire workers placed on-site by an agency. The question arises, then, whether an agreement between third-parties (i.e., the staffing agency and the client) legitimately can restrict the rights of workers to accept work or employment outside the staffing relationship. 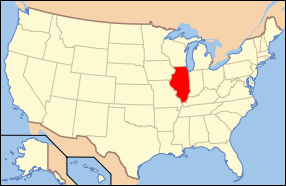 In Illinois, the Supreme Court held in H&M Commercial Driving Leasing, Inc. v. Fox Valley Containers, Inc. that third-party no-hire restrictions were in fact restraints of trade. This does not mean, however, that a traditional non-compete analysis applies to determining the validity of the restraint. To the contrary, all a court will do is examine whether the restraint is reasonable. The Supreme Court of Illinois has left open the question of whether a restraint (i.e., a no-hire clause) that is unknown and undisclosed to the affected worker satisfies the reasonableness test. As Justice Thomas noted in the H&M Commercial Leasing case, "two employers should not be able to contract away an employee's future employment opportunities without the employee's knowledge or consent." Illinois, being the paternalistic state that it is with an array of bizarre industry-specific laws, has intervened on the legislative side. Under the relatively new Day Labor Services Act, a "day and temporary labor service agency" cannot restrict the right of a laborer to accept a permanent position with a third-party client. The agency can charge a placement fee, however, something akin to liquidated damages. That placement fee, though, is capped at a 60-day net commission rate. The bottom line is any entity in Illinois engaged in the placement of labor ought to be very careful about third-party no-hire restrictions in its master services contract. At a minimum, any restrictions ought to be disclosed in writing to impacted employees or contractors of the agency, so as to eliminate the open legal question from H&M Commercial Leasing. That case seems to indicate such undisclosed restraints may be invalid. If Staffing companies (or any other company) provided competitive wages to their employees, non compete agreements could be banished to the trash bin where they belong. Non compete agreements only serve to keep employees earnings to whatever that employer wishes to pay. Good understanding blog to everyone. Really interesting story give more details about that.